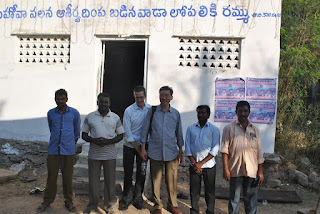 Pastor Wilson Lim, our HIM Elder, visited India with Pastor Brendan Kirby in February, 2015. 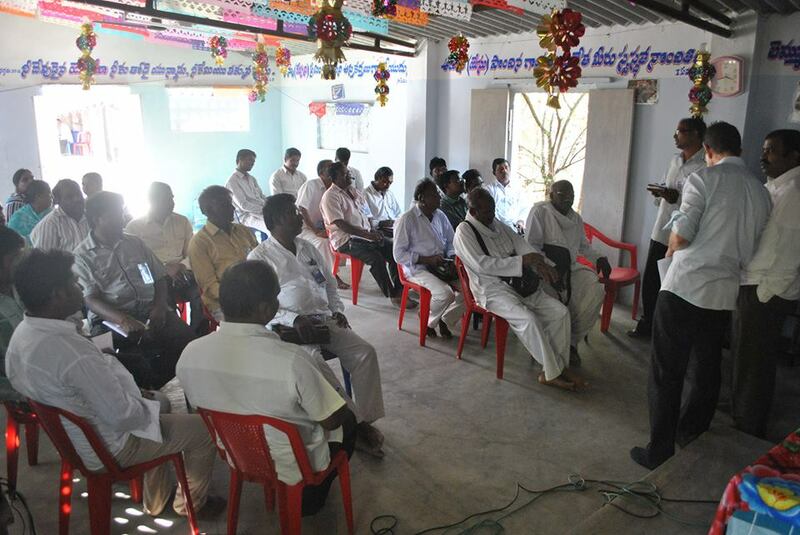 The objectives of this trip were to train pastors, to preach the gospel in crusades and to strengthen new church plants. 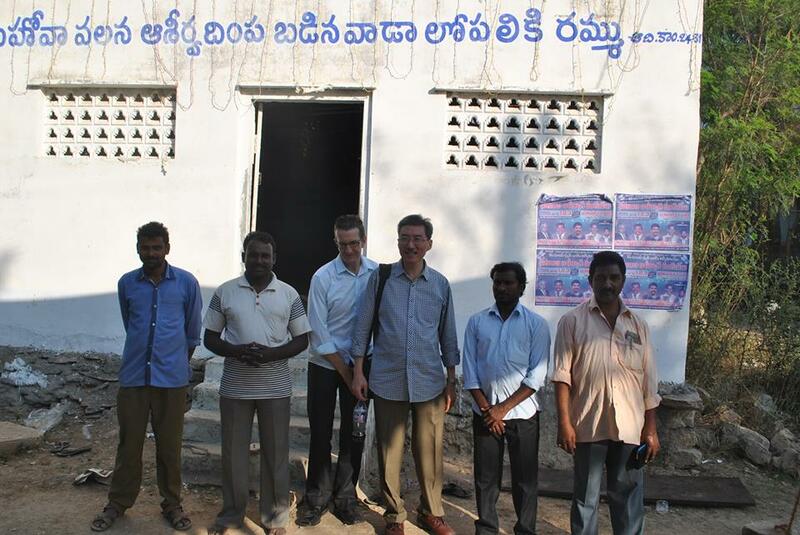 Pastor Wilson & Pastor Brendan visited Piduguralla, a town in the state of Andhra Pradesh on the southern coast of India. 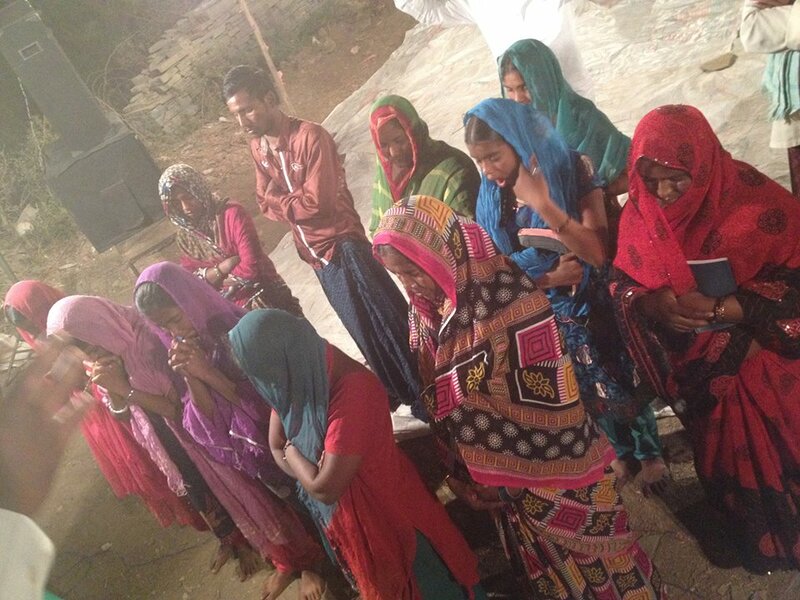 This is Pastor Wilson’s account of the India mission trip. 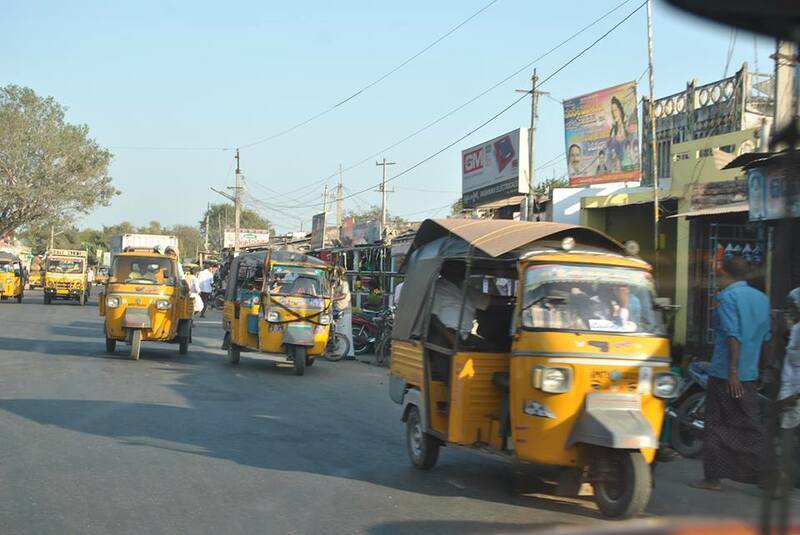 I arrived late at night at Hyderabad and we travelled through the night on some pretty rough roads for almost 5 hours. We arrived after 3am at Piduguralla. We stayed at the best hotel in the town, which was quite basic and run down. Thank God it had air-conditioner that worked! Piduguralla is a small little rural town where one of our HIM churches are located. It is a really rural Indian town. 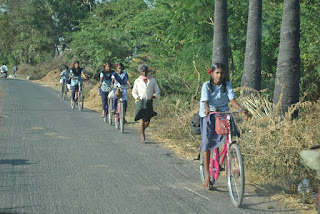 Pictures of school children riding home from school and glimpses of scenes in town. 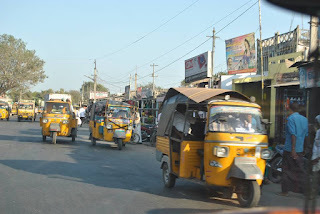 The tuk tuks are licensed to carry 4 people but more than a dozen can be squeezed in. 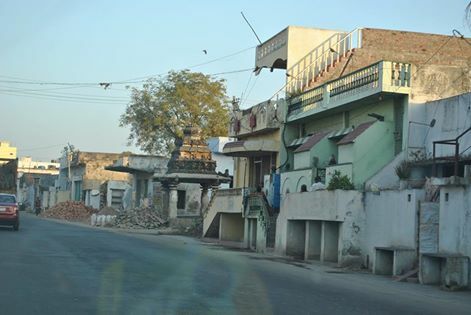 It reminded me of some small neglected towns in Malaysia during my childhood days. 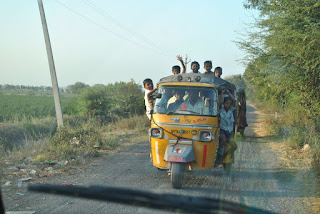 Conditions can be quite haphazard in India. The next morning, we all met in a little church hall in Piduguralla, a small rural town. 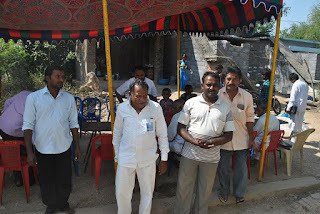 To get water, they need to pump the water by hand from a well right in front of the hall. 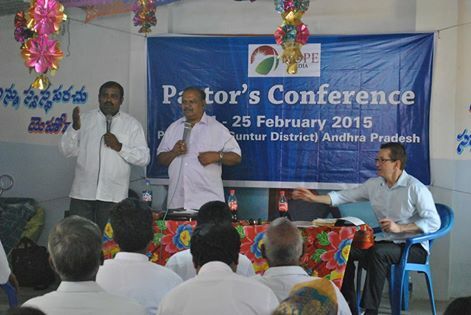 I had the opportunity to minister to over 20 pastors with Ps Francis Jackson, Ps Brendan and Ps Ravi Sundar. It was a blessed time to see the dedication of the pastors and to sense the presence of God in our midst. My heart was encouraged to see men and women who have given up much to do God's work. This pastor’s training was held over two days from 24 to 25 Feb. 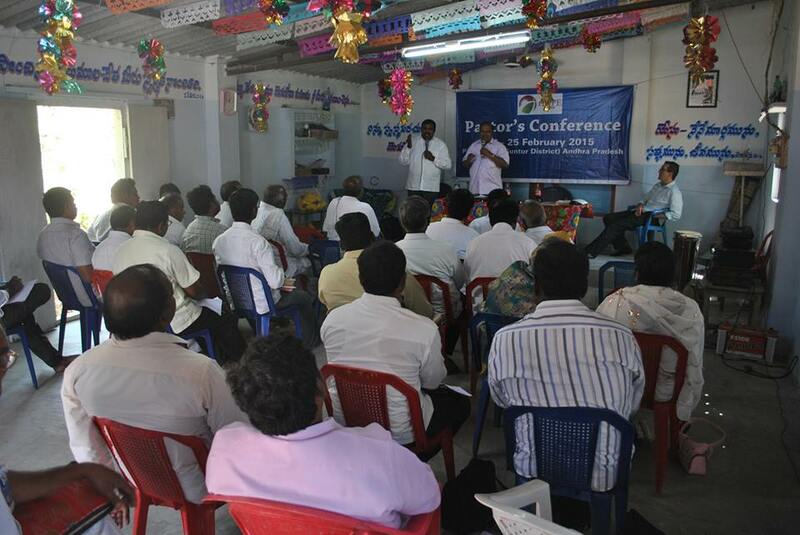 The pastors were taught on the Core Values and on the importance raising other other leaders, among other things. 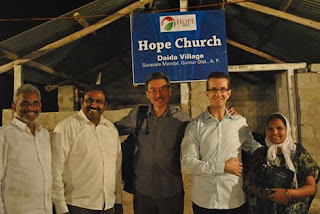 On the first night, we held a small crusade in Daida a tiny rural village where a church had been started just last year. It was a bit of a ride to just get there on bumpy dirt roads. 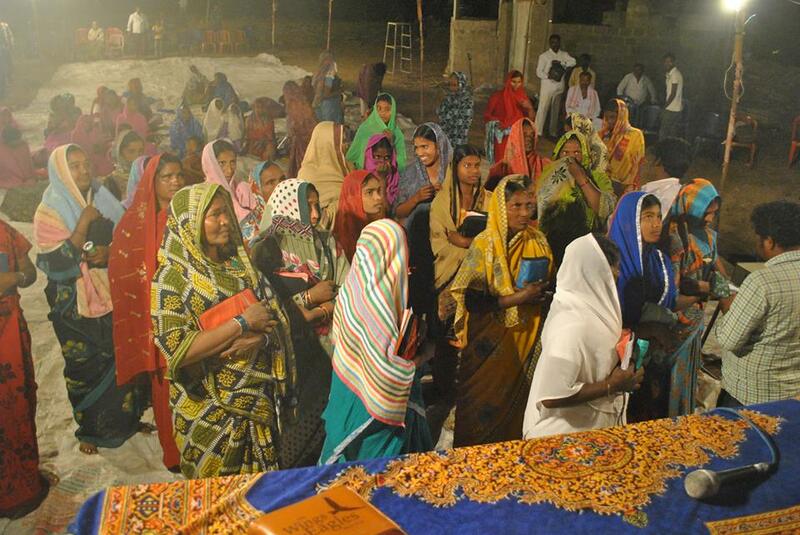 We had a decent turn out this first night and almost 20 people gave their hearts to the Lord. 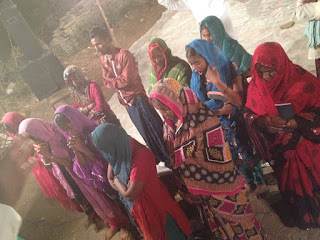 We saw some miracles as well. 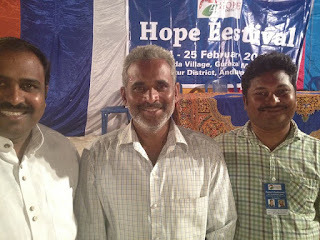 One lady with pain in her neck for 5 months was healed. On the second night, I ministered in another small crusade at Daida Village. 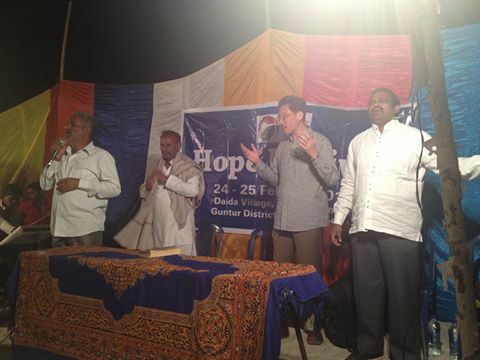 I shared the message about Jesus as Lord over all. 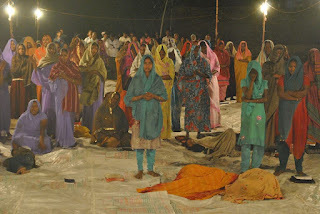 God moved and we had 16 salvations and many cases of healings, more than the previous night. 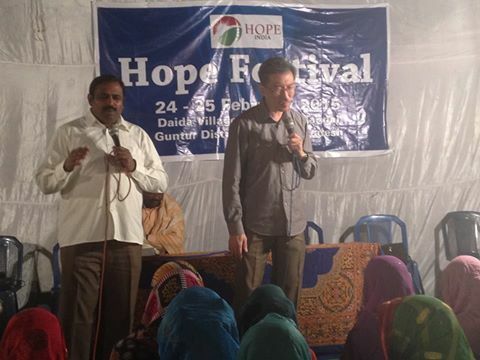 One girl was healed of a stuttering problem she had since very young. 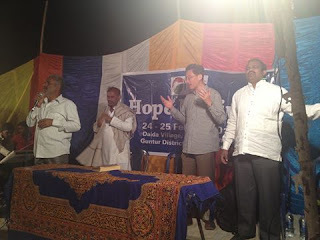 Many were healed of migraines, back aches and foot problems. Other cases cannot be determined on the spot as it does not involve pain or external symptoms. But we hope they obtained healing. Please do pray for our churches in India. Hope Daida has a little church building. It is little more than the size of an average lounge room. They hope to raise more funds to build bigger building as they have a decent piece of land which was bought from a church that closed down. A new Hope sign was just installed. These pictures also show the overseeing Hope pastor, Ps Rajesh and wife, who were from another town. 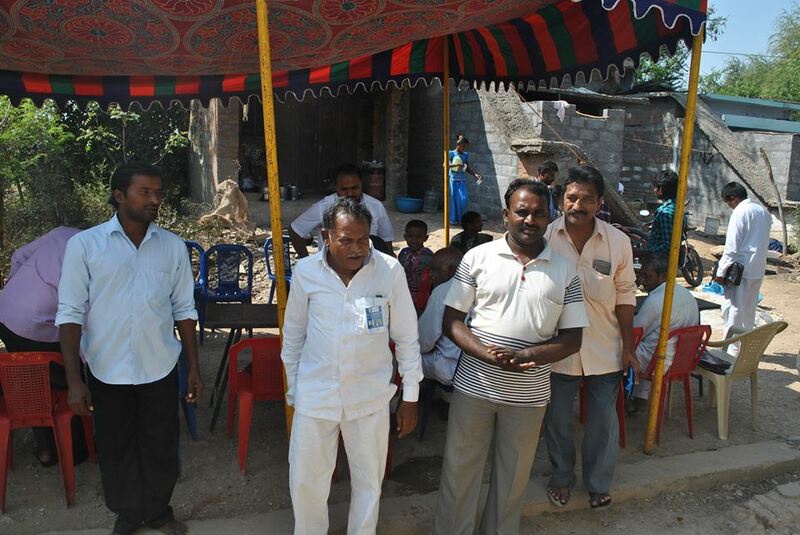 They drove from 30 kms away but the trip took over an hour due to the bad roads. 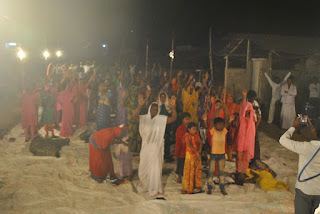 The pastor's wife was very happy because she was miraculously healed of neck pain she had suffered for 5 years during the crusade in Daida on the second night. Last day of training with the pastors at Piduguralla. 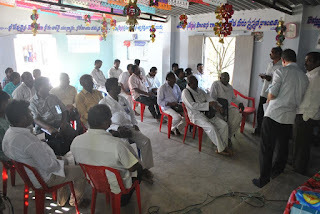 The pastors were greatly encouraged. 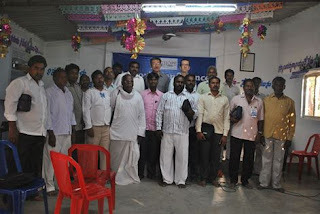 In the picture are HIM pastors and some who are seeking to join.